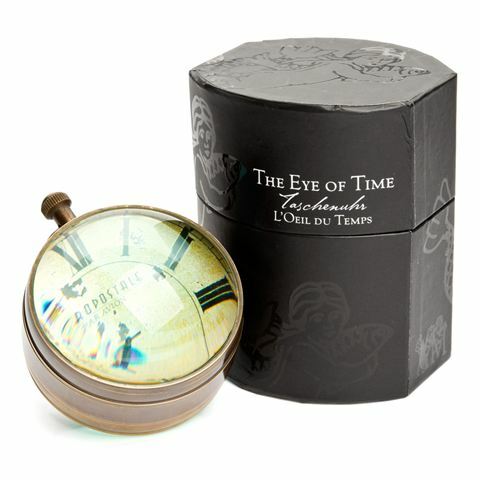 The Eye Of Time is a desk clock with an old world charm. Originally created by an anonymous watchmaker in Regency London, this watch was created to be carried in your pocket. And in times of need, the compass on the other side would help you find your way. Made from glass and bronze. Stands on a slight slant for added character and charm. Presented in an Authentic Models gift box. Dimensions: 11.5cm (h) x 7.5cm (w).